(1. )The objective of the “Library Management Software”is to handle the entire activity of a library. (2. 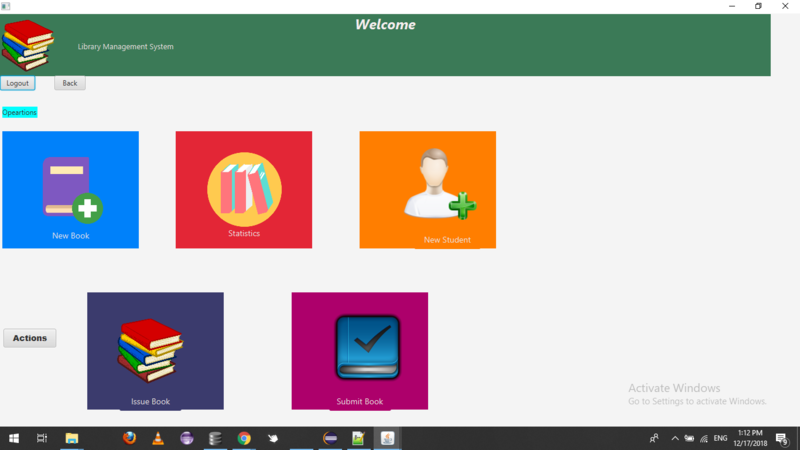 )This project is desktop application and The software keeps track of all the information about the books in the library, their cost, their complete details and total number of books available in the Library. (3. )The user will find it easy in this automated system rather than using the manual writing system. 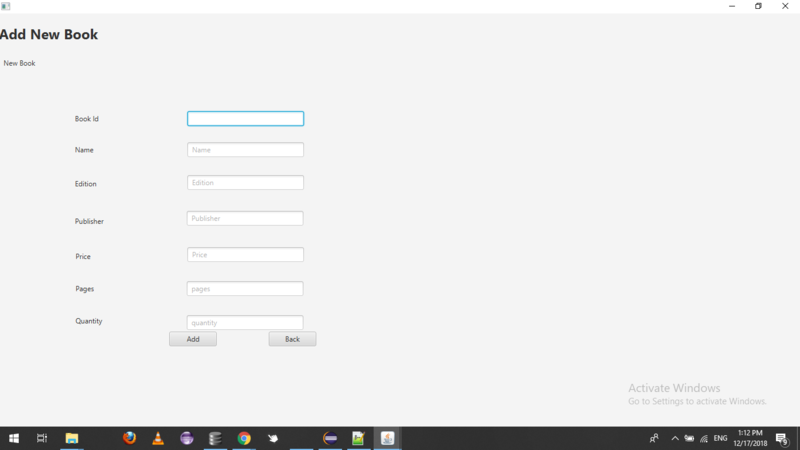 The system contains a database where all the information will be stored safely. (5. )This project is helpful to track all the book and library information liked Book issued deatials,submit details. 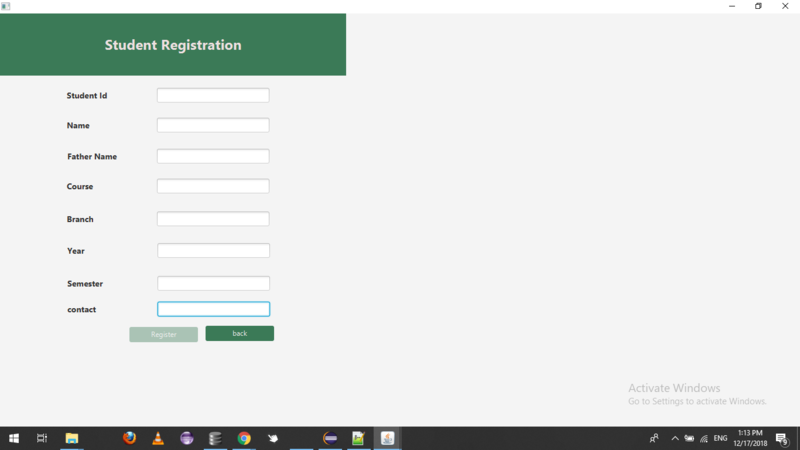 Admin Login is first panel of in this project and this is used for admin login ,it have admin id and admin password that is admin and admin. 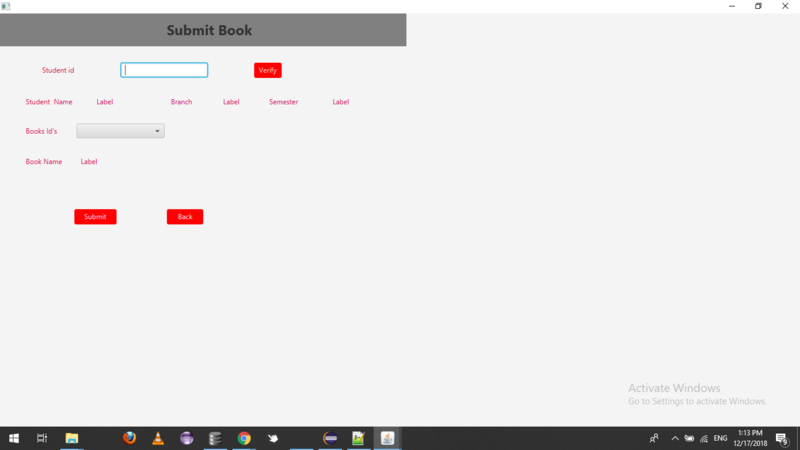 Add books is a second panel in this project and it is used for the add books and book_id,book_name,publisher,author,editions and that data are saved in other panel. 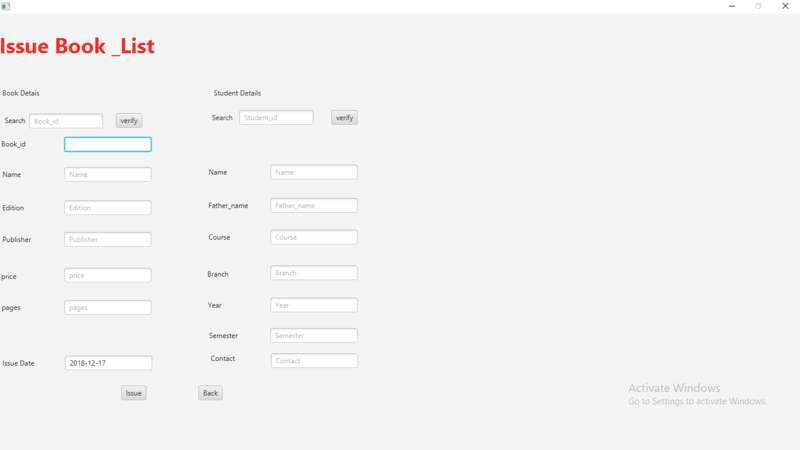 Add students is a third panel in this project and it is used for the add student details like student_id,student_name,student_fathername,branch,course etc. This is a third panel in this project and it is show the details for all the books and also issued the book for student. This is last panel for this project ,this is used for submited books. (1. )Time saving process compare than manually works for issued and submitted book in libraries. 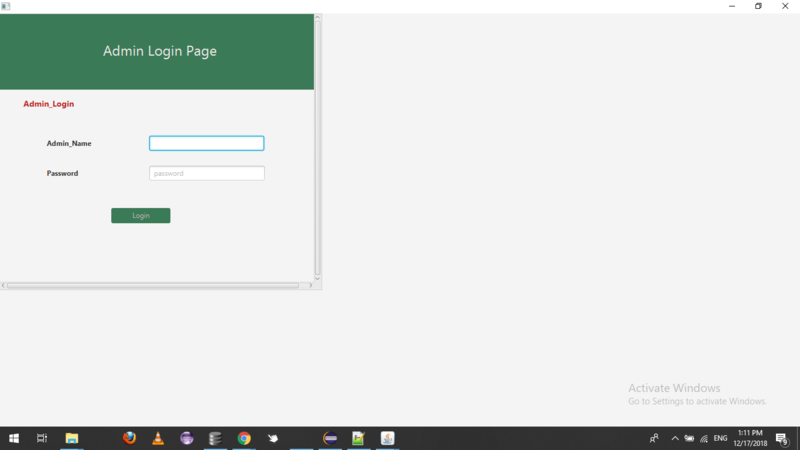 Database:-DB Browser for My Sqlite. (1. 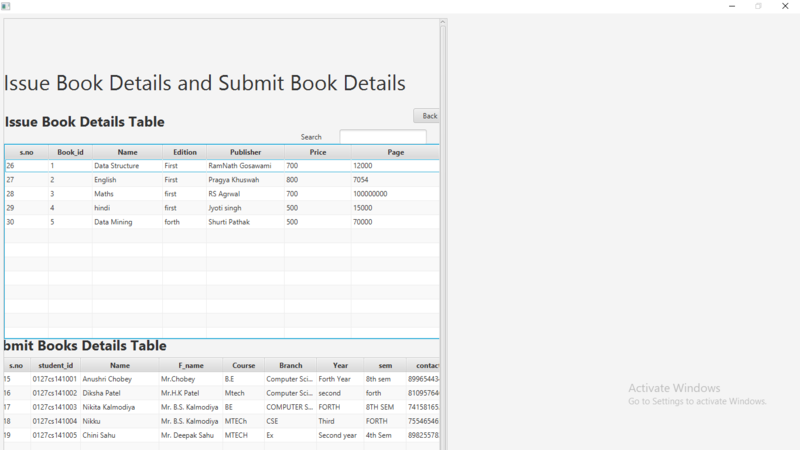 )"Libraray Management System",allows the user to store the book details and the student details. (2. 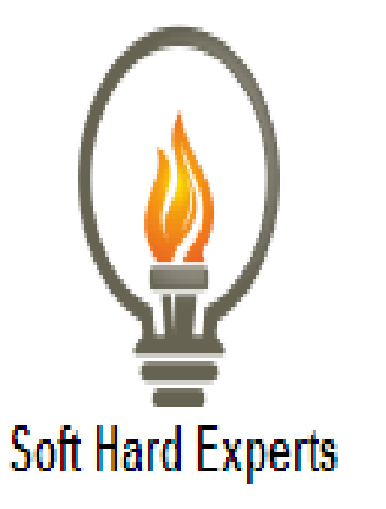 )This software package allows storing the details of all the data related to library. Software Requirement : Technology:Java IDE tool:-Eclipse Eclipse version:-4.6 Database:-DB Browser for My Sqlite.